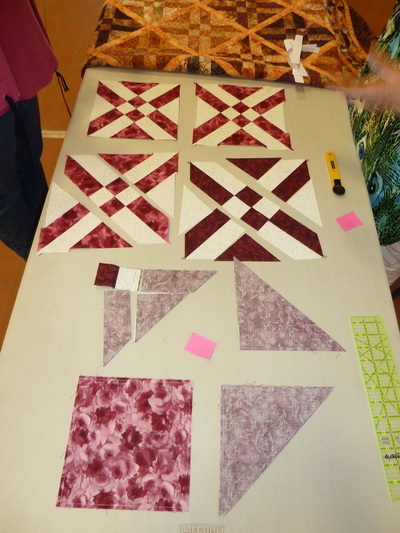 Visit the Mentors Table at the Monthly General Meetings where Genny demonstrates fun quilt making techniques and new quilting tools; plus, answers quilting related questions that have us stumped. If she doesn't have the answer to your quilting dilemma, she'll help you find a solution. really easy to do. 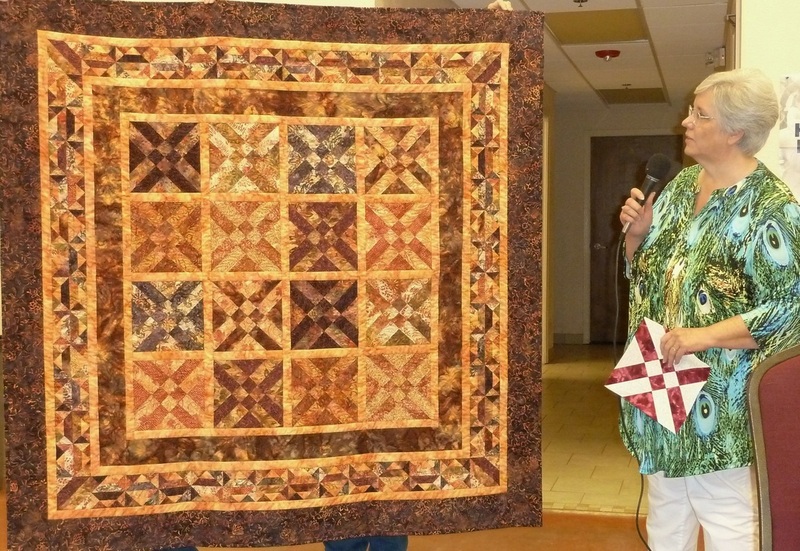 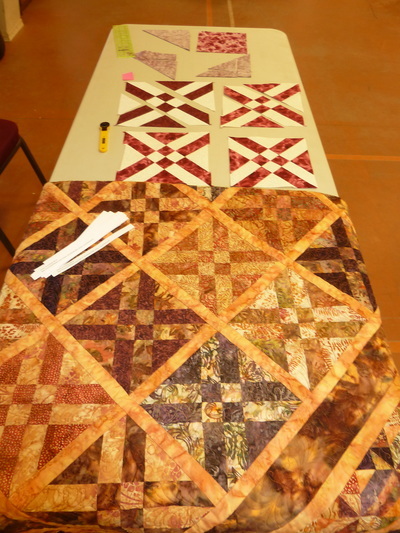 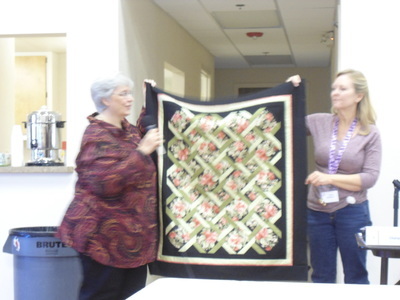 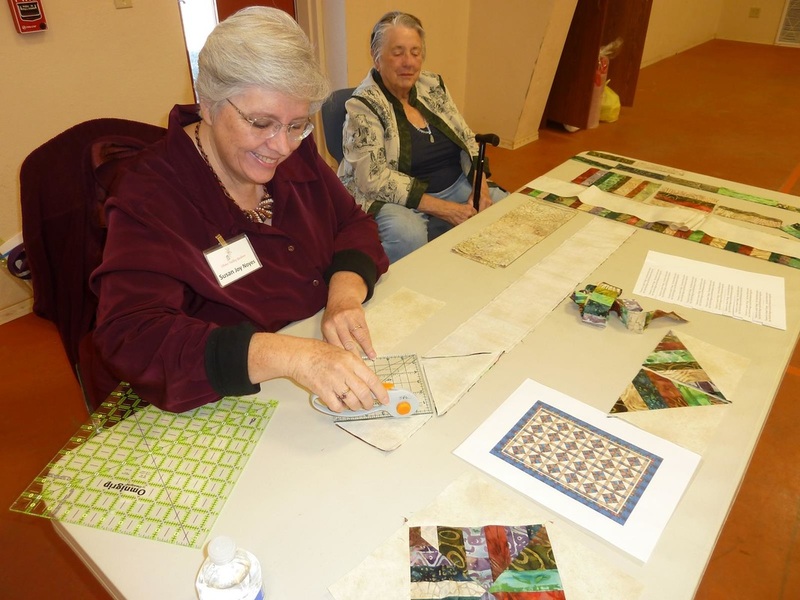 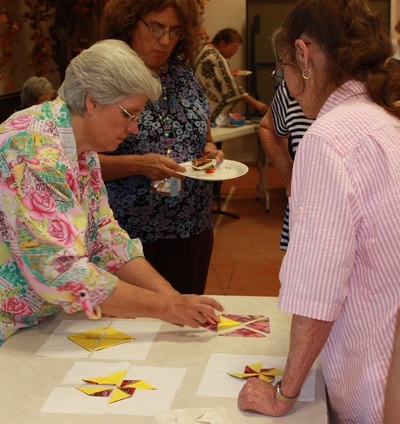 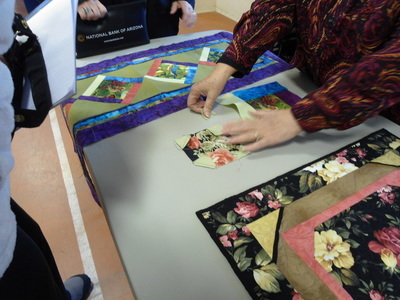 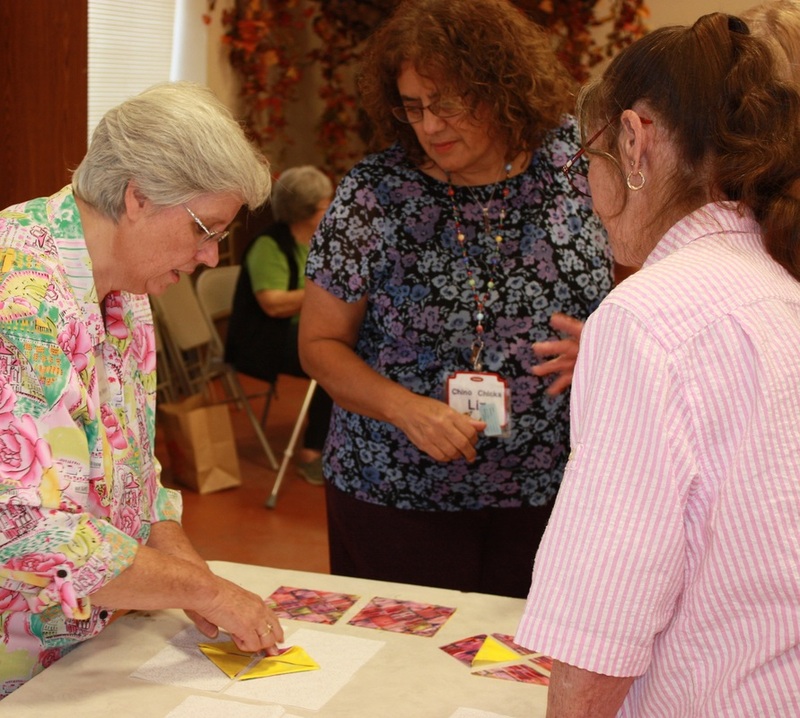 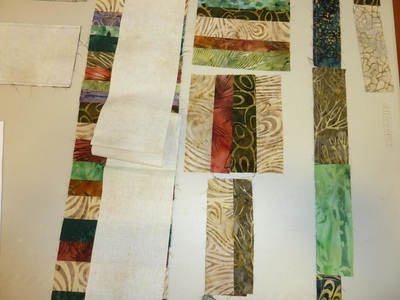 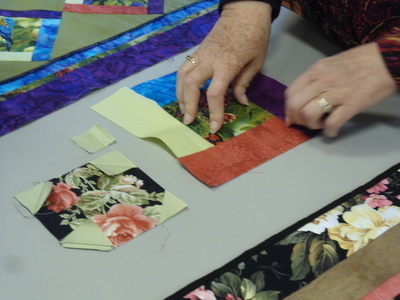 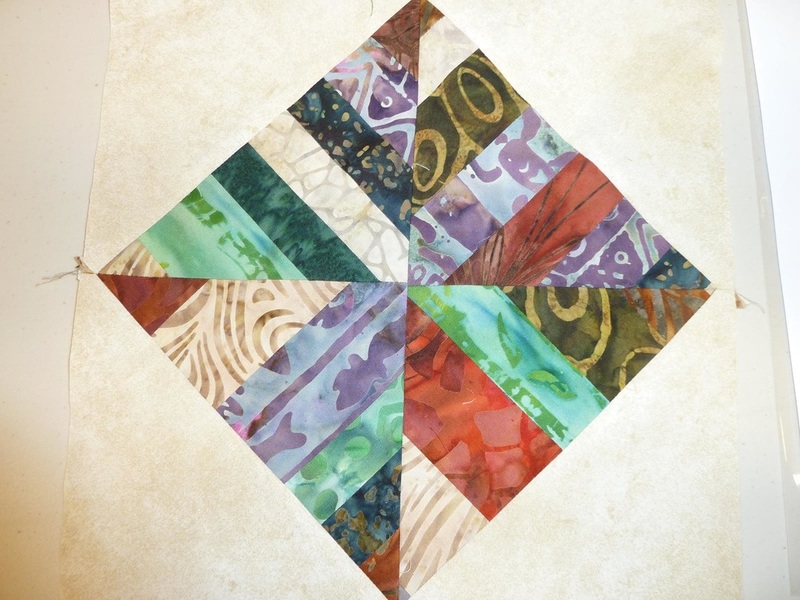 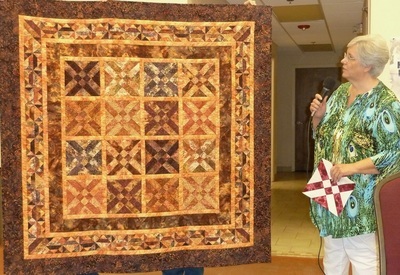 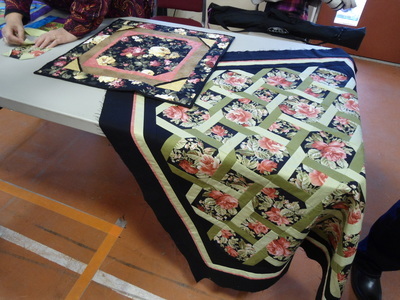 Susan does a great job showing us a new quilt pattern each month at her mentors’ table.